An Initial Consultation is required for anyone wishing to join Private, Semi Private or Small Apparatus classes or who has pain or injuries past and present. Your initial consultation is a 1:1 session that allows us to take a case history, assess your body and determine what you would like to achieve through Pilates. This will provide valuable information in order for a specific program to be written for your needs and abilities. In this session you will also be introduced to the fundamental concepts of the Pilates method, including breathing techniques and correct core connection. Anyone new to Pilates will benefit from completing an Initial Consultation plus two privates in order to gain a firm understanding of the Pilates method that you can then take with you into Semi Private classes. A private lesson is a 1:1 class where your program is tailored to your needs and goals. You have the undivided attention of your instructor where your program will progress and advance when the time is right. 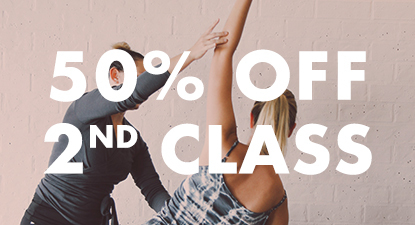 These lessons utilise the mat repertoire as well as the Reformer, Cadillac, Wunda chair, barrels and small apparatus. Private classes can cater for injuries, pathologies, pre and postnatal as well as fit and well clients and advanced athletic conditioning. Following your initial consultation you may wish to join a semi private class. These classes take a maximum of 4 participants, each client working on their own tailored program under the supervision of one instructor. The instructor rotates and shares their attention across the group of four clients undertaking their Pilates workout. Semi private classes can cater for injuries, pathologies, pre and postnatal as well as fit and well clients and advanced athletic conditioning. Semi Private classes can be taken at the Equipment session times. Group Reformer classes are general classes with exercises being performed on the Pilates Reformer. The same exercises are performed by all clients at the same time. These classes are kept to a maximum of 4 clients in a small and intimate setting. * Please note group format classes may not be appropriate for all clients, this can be assessed in your Initial Consult.